About Andrew W. Message Andrew W.
‘I don’t know, a western guide for a Japanese tour?’ with Andrew, for sure. Don’t let the small number of reviews put you off. We have had many tour guides over the years and Andrew ranks with the best. He communicates clearly, accommodating and flexible but most importantly you will be left with a feeling that you have made an emotional connection with Japan. He has a deep understanding of the of Japanese culture. And then if you want to go antique shopping or to find a place for dinner Andrew’s the guy. TOUR GUIDE RESPONSE: Thank you so much for your kind words. What a wonderful time we had in the rain. The gardens really came alive right before us. I am so happy to have shared that moment and I hope we can do it again sometime. Please enjoy the rest of your time in Japan! Andrew was such a amazing guide. He has unbelievable knowledge of Kyoto history, its landmarks and architecture. My wife and I were tele-transported in time when listening to Andrew's stories about old Japan. Totally recommend him. TOUR GUIDE RESPONSE: Thank you for your very kind review Esteban! I had a great time showing you and Paola some of Kyoto's beautiful but lesser known sites during the sakura season. I wish you and your family all the best and many fun and safe travels in the future! Our rating for Andrew is 5/5! His tour was a total delight. He took us to not-so-popular spots and thoroughly explained and illustrated the components of the art of Japanese gardens. He is very well versed in Asian religions and by virtue of being totally by-cultural is able to explain the orient to occidental minds. Not only does he know the answers, he fully understand the questions. He is a jewel as a tour guide. TOUR GUIDE RESPONSE: Thank you Carlos! It was an absolute pleasure to spend the afternoon with you and the group. I am so glad I could show some of the places that are not so filled with travelers, where we could have some quiet moments. 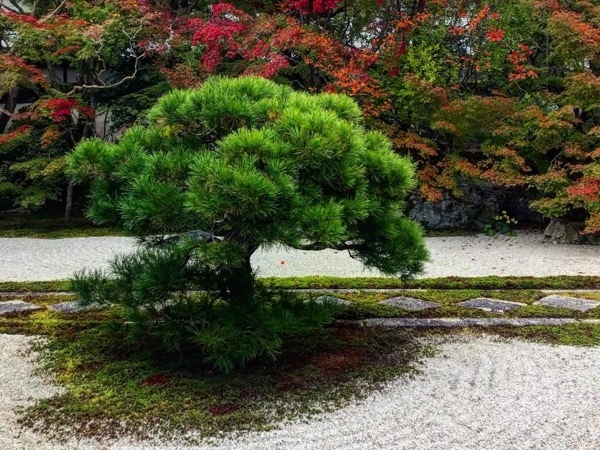 Hopefully you can apply some of what you saw in the gardens here in Kyoto to your garden project back home. I hope you enjoy the rest of your holiday and Japan and I wish you all the best! This was a perfect tour with a perfect guide. Tour guide Andrew adjusted the program after our needs and gave us a very, very interesting tour and actually a perfect introduction to Kyoto. Andrew is born I USA but have lived in Japan for a long time. That means that he both speak perfect English and understand the Japan culture. We had a great day. TOUR GUIDE RESPONSE: Thank you so much Leif! I could feel everyone was really moved by what we saw in the gardens, and I’m always glad to spend moments like that with my guests. Please enjoy the rest of your stay in Japan!